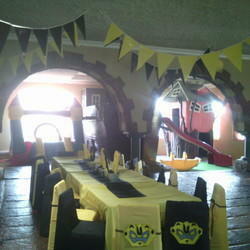 Monique's Party Venue is a unique and well maintained party venue for all ages. 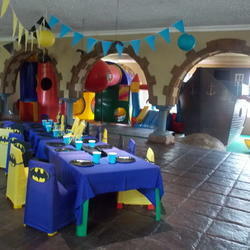 Our new modern day country style venue is situated a few km's from Cradlestone Shopping Center and Silver Star Casino. 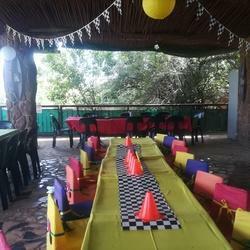 Come and escape the busy city life for some fresh air while children can enjoy loads of entertainment and fun filled facilities. 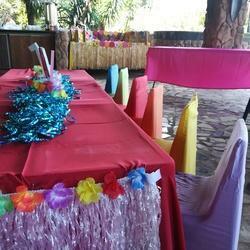 We host one party per time slot only,choose from our indoor or outdoor venue. We cater for all budgets , and also hire the venue for exclusive use for the full day give us a call or send us an an email. -Bottomless popcorn with boxes or packs. -Limited decor,setting up and cleaning up. -transfer or character flat cake. 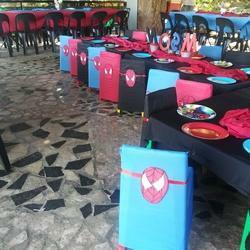 -tables chairs,tablecloths. 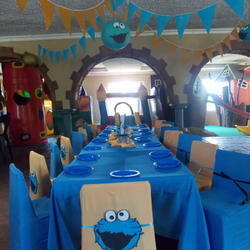 Kiddies table and chairs with covers and happy birthday banner with flags. -limited decor setting up and cleaning up. -1 jumping castle,pool and pool water slide, shaded sand pit,trampolines,see saws,spur plastics tube jungle gym,large army jungle gym,baby jungle gym tractor Tyre swing,swings. 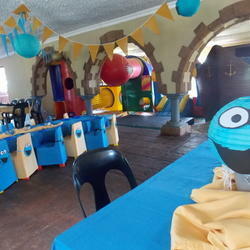 Our indoor venue has its own indoor play area which includes the following: jumping castle, large pirate ship, wonky tree house, plastic see saw, large sand pit, ball pit, plastic spur jungle gym and seating for 100 people all indoor . 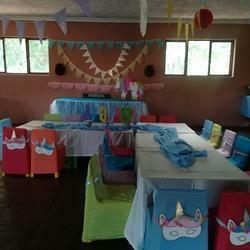 Catering can be organized by Monique's Party Venue,for a reasonable amount. 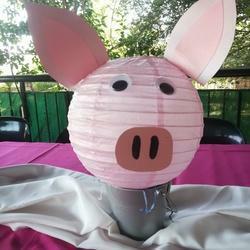 Or you can organize your own catering. Viewing of the venue is by appointment only. The kids as well as the adults enjoyed it so much!! They went the extra mile to accommodate all of us and to meet all our needs! Thank you Monique!